Welcome to our website. Let me introduce our team. My name is Kathy, and my son Cody and I will be your hosts for your stay at Moen Lake Campground. 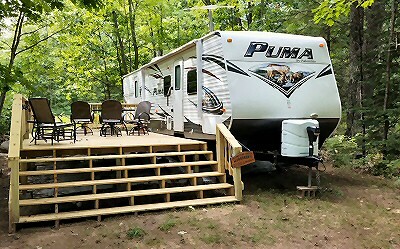 I purchased the campground in March of 2014 with my late husband Al. We had a dream of owning a campground and came across this severely run down campground which was in need of some serious rehabilitation. With much love and care we have just about completed that mission. Our sites have all been rehabilitated and we are almost done with all of the buildings. We continue to make improvements as well as adding more amenities. 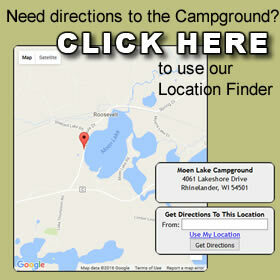 Moen Lake Campground is situated on 52 beautifully wooded acres on the Moen Lake Chain. This chain consists of 5 lakes and is well noted for its class "A" Musky fishing. All of our campsites are extremely spacious, giving you and your family ample room to roam. Each site is surrounded by mature trees and plants. You will enjoy the true beauty of being in the Northwoods while staying with us. We offer 91 campsites all with water and electric. We have 74 sites designated as seasonal camping and 17 sites for overnight camping and they are located separately from each other. There are also 2 cabins available for rent year round. These consist of 2 one-bedroom cabins and each side sleeps 4-6 people. We also have dock space available for rent either seasonally or by the day. We also offer Honey Wagon service for a fee. 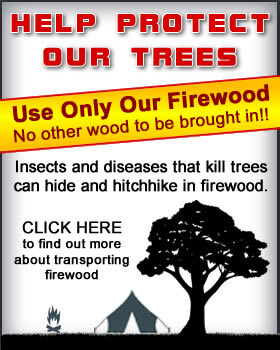 We also sell firewood, beer, liquor and ice. There is plenty to do year round, such as taking in the great fishing, swimming, boating, hiking, tubing, skiing, various watersports and we are also located on the snowmobile and ATV/UTV trail. You can enjoy the waking up of Nature in Spring, the beauty of a warm Summer night, the chaging of the colors in the Fall and the snow in the Winter. Come and join us, as you can't help but relax as the air is filled with the natural sensations of camping, the flickering lights of a warm campfire and the sounds of people laughing and having fun as they share stories of an exciting time at Moen Lake Campground. We look forward to seeing you this summer at Moen Lake Campground!